On February 6th, Peter Lester, who drives for Carroll Fulmer Logistics, was honoured for his heroic actions that saved a fellow driver from his burning truck last December at a Coca-Cola plant in Jacksonville, Florida. According to local news sources, Bradley Camp arrived at the Coca-Cola plant just after midnight and fell asleep in his sleeper berth shortly after. Four hours later, Peter Lester arrived and realized Camp’s truck had caught on fire. Lester proceeded to call 911 and began honking at the truck to wake up any passengers inside the big rig. Camp woke up, noticed his truck was on fire and exited the vehicle immediately. A few minutes after Camp left his truck, it exploded, nearly consuming the entirety of his cab. 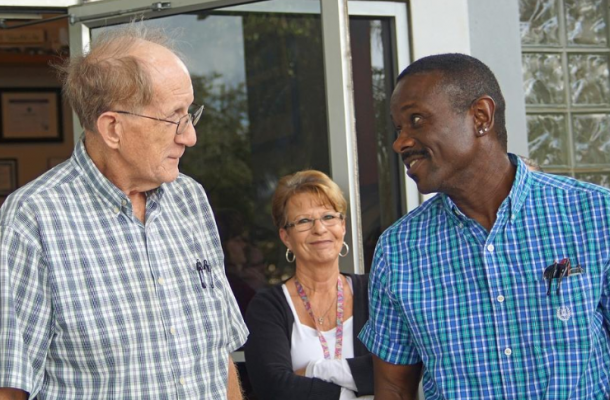 The two drivers did not meet at the time of the accident; however, they were brought face-to-face at a special ceremony held to honour Lester’s actions in Groveland, Florida last week. They exchanged phone numbers and promised to keep in touch in the future.